The Gender Committee 2017-18 batch, of International Institute of Social Studies, held a series of events from 5th-9th March 2018. 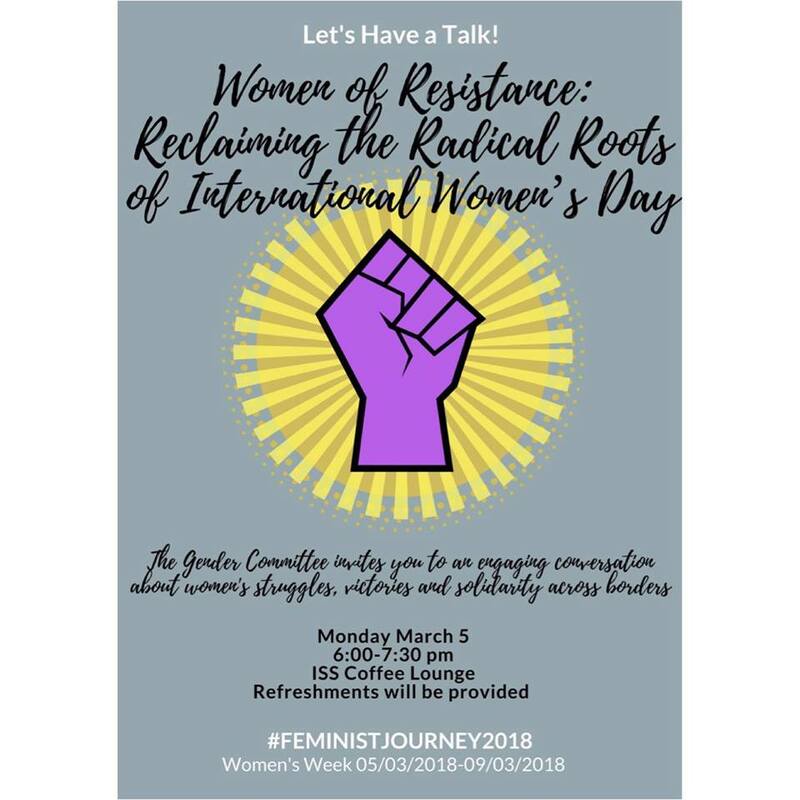 -Sorority and Solidarity are Global: How Can We Join the Fight for Women’s Rights, Gender Equity and Emancipation? 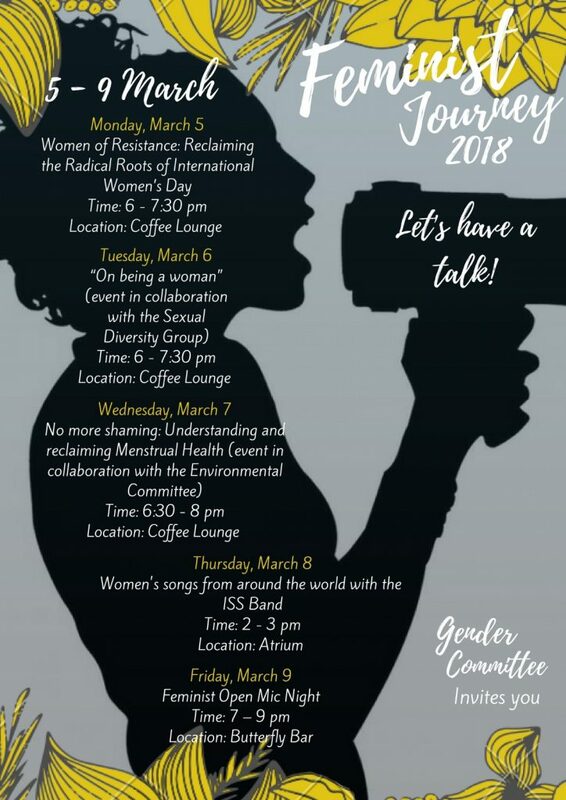 This event aimed to highlight the diversity of experiences on being a woman. 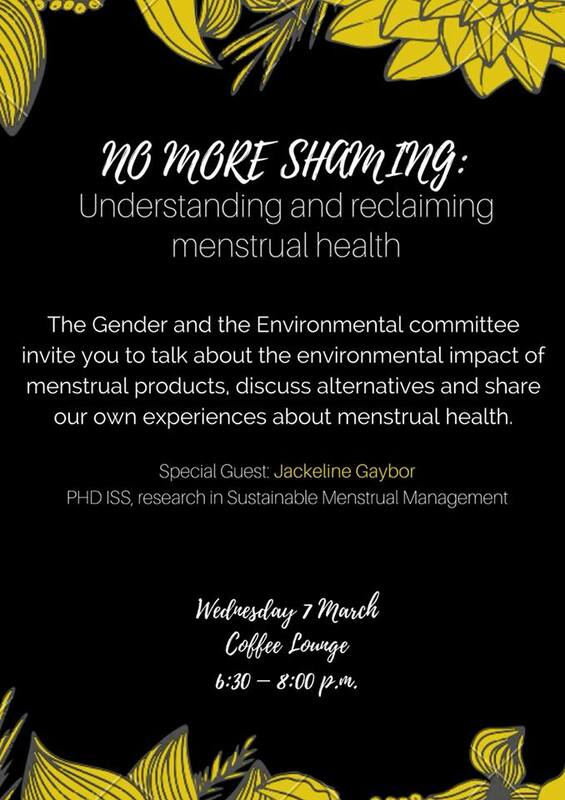 This event highlighted issues relating to women’s menstrual health. In the last two events, ISS students coming from different parts of the world sang feminist songs in different languages. The International Institute of Social Studies (ISS) in The Hague is part of the Erasmus University Rotterdam (EUR). It is a graduate institute of policy-oriented critical social science, founded in 1952 and able to draw on over 60 years of experience. 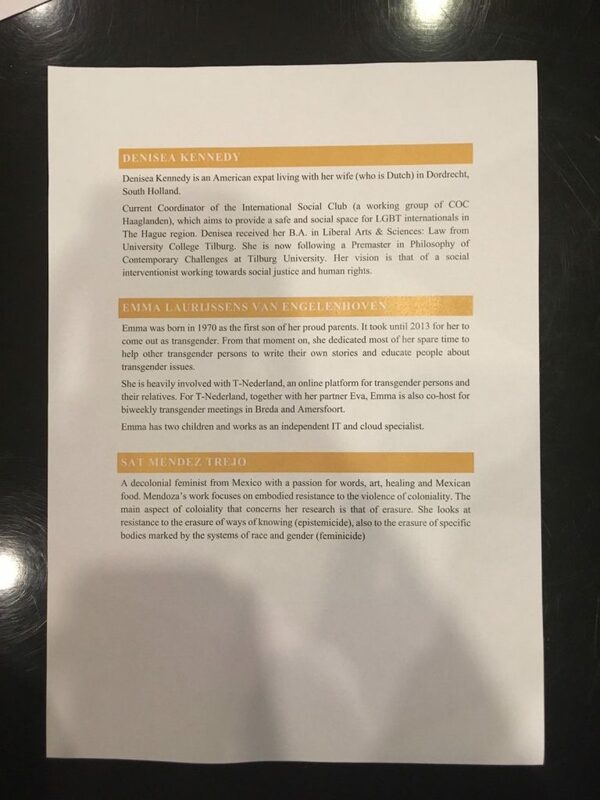 ISS is a highly diverse international community of scholars and students from the global south and the north, which brings together people, ideas and insights in a multi-disciplinary setting which nurtures, fosters and promotes critical thinking and conducts innovative research into fundamental social problems. Key to the ISS philosophy and practice is the wish to make a contribution to achieving social justice and equity on a global level. The strong partnerships with organizations and individuals in developing countries make up a network in which the co-creation of knowledge and an integrated approach to research and teaching can flourish and remain societally relevant. ISS shares expertise with a wider public by providing high-level policy advice, serving as a platform for debate and the exchange of ideas and engaging in consultancy.